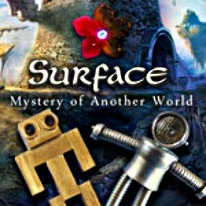 After your son, Bobby, mysteriously disappears, it’s up to you to find him in Surface: The Mystery of Another World! A peaceful train ride to the coast goes way off course and now strange occurrences are happening all around you! It seems that there is another world just past your reflection. Use your Hidden Object talents to explore the mysterious area and save Bobby before it’s too late in Surface: the Mystery of Another World!